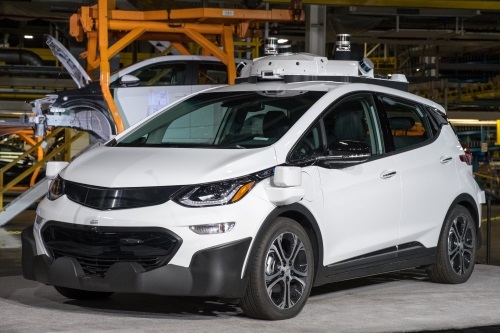 The USDOT issued the third version of federal regulatory guidance for autonomous vehicles of Oct. 4 to “support the safe integration of automation into the broad multimodal surface transportation system,” according to Transportation Secretary Elaine Chao. “The safe integration of automated vehicle technology into our transportation system will increase productivity, facilitate freight movement and create new types of jobs,” she said in a statement. Officially entitled Preparing for the Future of Transportation: Automated Vehicles 3.0 or AV 3.0 for short, it builds upon but does not replace the voluntary guidance USDOT provided in its Automated Driving Systems 2.0: A Vision for Safety issued on Sept. 12 last year. The agency said AV 3.0 incorporates the results of “extensive stakeholder engagement “to provide updated voluntary guidance and policy considerations for a range of industry sectors, including: manufacturers and technology developers, infrastructure owners and operators, commercial motor carriers, bus transit, plus state and local governments. For starters, the agency said it will interpret and, consistent with all applicable notice and comment requirements, adapt the definitions of “driver” or “operator” as appropriate to recognize that such terms do not refer exclusively to a human, but may include an automated system. Affirming that the USDOT still aims to preserve the ability for transportation safety applications to function in the 5.9 GHz spectrum. The last point regarding the preservation of communication spectrum is a key issue where state departments of transportation are concerned. “Information exchange must address connectivity between the vehicles and the roadside infrastructure. Without the digital infrastructure and data, ADS [automated driving system] operability that is reliant on information from roadside equipment would essentially become non-functional,” stressed William “Bill” Panos, director of the Wyoming Department of Transportation, earlier this year. Panos – who also serves as the chair of the Committee on Transportation System Operations for American Association of State Highway and Transportation Officials – provided his testimony as part of a “listening session” held by the Senate’s Committee on Environment and Public Works on June 13 in Washington D.C. to determine how transportation infrastructure should evolve to accommodate connected and autonomous vehicles. “AASHTO believes that vehicle connectivity enhances and expands the safety and mobility benefits of ADS by providing information that the vehicle sensors cannot ‘see’ and important redundancy of information that the sensors can “see.” When dealing with life-safety issues, redundancy can be a solution, not a problem,” he explained. The National Highway Traffic Safety Administration will request public comment on a proposal to streamline and modernize the procedures it will follow when processing and deciding exemption petitions. The Federal Motor Carrier Safety will initiate an Advance Notice of Proposed Rulemaking to address automated vehicles, particularly to identify regulatory gaps, including in the areas of inspection, repair, and maintenance for ADS. The Federal Highway Administration will pursue updates to the 2009 Manual on Uniform Traffic Control Devices or MUTCD to take into consideration new connected and automated vehicle or CAV technologies. The Federal Railroad Administration is initiating research to develop and demonstrate a concept of operations, including system requirements, for the use of automated and connected vehicles to improve safety of highway-rail crossings. The Maritime Administration and FMCSA are evaluating the regulatory and economic feasibility of using automated truck queueing as a technology solution to truck staging, access, and parking issues at ports. The Pipelines and Hazardous Materials Administration is researching the ability to enable the digital transmission of information to first responders before they arrive at an incident that involves hazardous materials. USDOT added that the Federal Transit Administration has already published a five-year research plan that aims to examine the automation of bus transit systems.